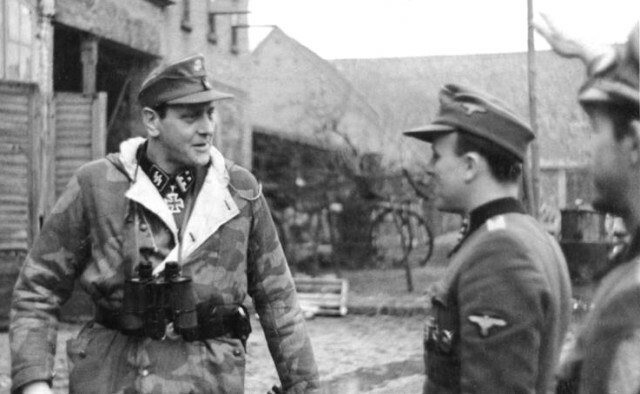 Otto Skorzeny was one of Germany’s finest commandos. An engineer by profession, he tried to volunteer for the Luftwaffe (German Air Force), in the year 1939 but was declined entry due to his age (31 at the time) and unusual height (6.4 feet, or 1.92 meters). He had a scar on his cheek, inflicted during a fencing duel. Due to this wound, he would become known as ‘Scarface.’ He was an Austrian Nazi Party member since 1931 and was a noted figure in the lower and mid-level party structures before the war. After failing to enlist as an airman, his party connections enabled him to become a member of Hitler’s elite bodyguard unit. After proving himself to be a capable soldier, most notably in the campaigns in Netherlands, France, and Yugoslavia, he advanced through the ranks and became a Lieutenant in the Waffen SS. He was wounded on the Eastern front and transferred to a desk job in Berlin, after which he got into the SS Foreign Intelligence Service. Here he was given a chance to propose his ideas on commando warfare, studying the partisan methods he saw in the East. He advocated the use of a small force of saboteurs, kidnappers, and assassins to minimize the casualties and maximize the effect and create panic in the enemy. During the war, his name was associated with a string of operations, some of them largely successful, some of them not. 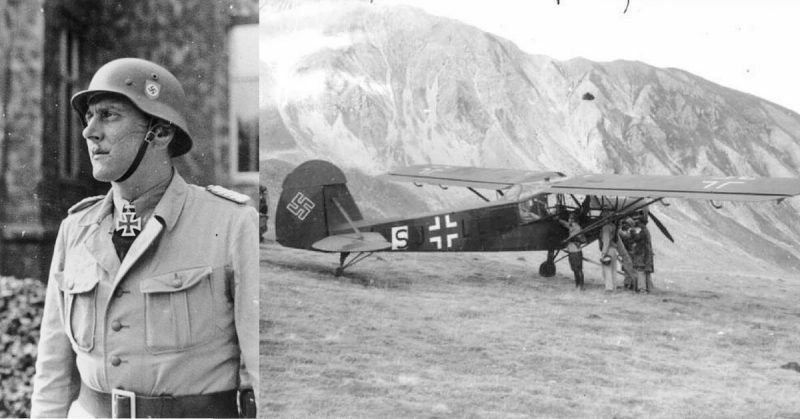 Some were only planned, but never conducted, and some were not exactly commando operations but were more daring or reckless efforts that prove Skorzeny’s insatiable ambition and loyalty to Adolf Hitler. This article is a list of his successful missions, in chronological order. 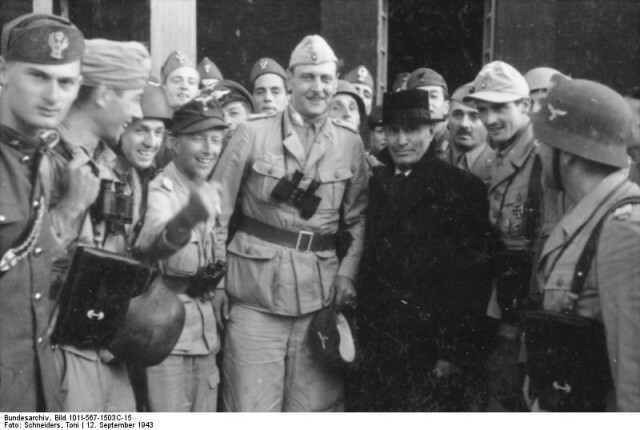 In 1943, Skorzeny conducted his most famous action, the kidnapping (or rather the rescue) of then imprisoned Benito Mussolini, the former dictator of Italy. The mission was codenamed Operation Oak. After success in the North African Theater of War, the Allies landed in Sicily in 1943, and swiftly crushed the Italian Army in a series of victories. The frontline was then settled on the so-called Winter Line, and the Allied advance was held back by the Germans here until the end of the war. Mussolini was overthrown and arrested by the Italian King, Emanuel the Third, in 1943. Hitler wanted him back, so he ordered Skorzeny together with five Luftwaffe agents and three agents selected from the Armed Forces. Mussolini had first been held on the island of Sardinia, where Skorzeny started to gather intelligence. He was shot down during a reconnaissance mission but managed to bail in time to be saved by a passing Italian destroyer ship, still loyal to the Fascists. 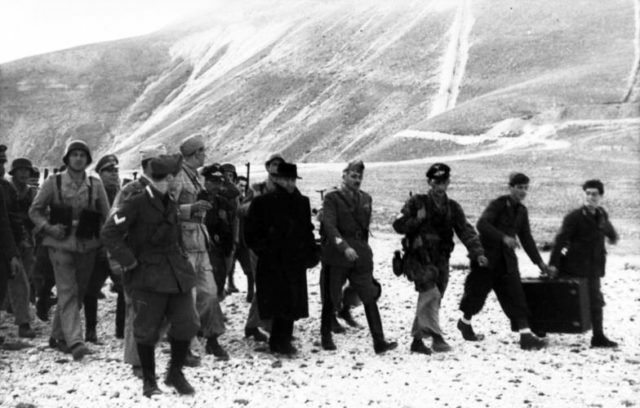 After this event, Mussolini was moved to the Campo Imperatore Hotel on the top of the Gran Sasso Mountain. Together with agents Kurt Student and Harald Mors, Skorzeny devised a daring plan which would be remembered as one of the finest commando operations ever. The mission was conducted via glider planes which landed on the mountain. The members of the 502nd Paratrooper Division then proceeded to the compound of the Campo Imperatore Hotel. In a rather dashing turn of events, the team, accompanied by the Police General Fernando Soleti, managed to persuade the carabinieri guarding the hotel to surrender their arms. On the 20th of July, 1944, Skorzeny was in Berlin when an attempt on Hitler’s life was made. 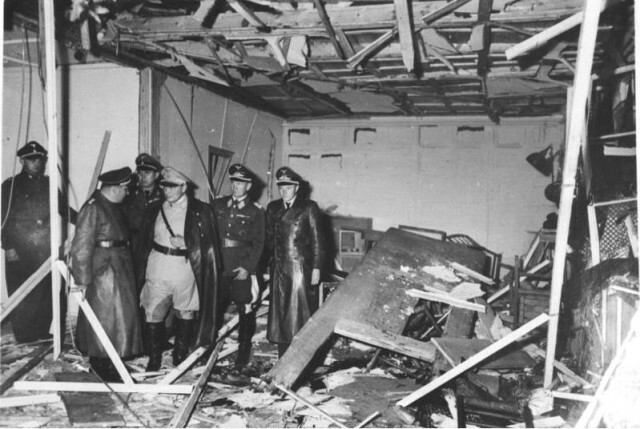 Anti-Nazi German Army officers tried to seize control of Germany’s main decision-making centers before Hitler recovered from his injuries. Skorzeny helped put down the rebellion, spending 36 hours in charge of the Wehrmacht’s central command center before being relieved. Even though this wasn’t an operation, so to speak, it was a turning point as Skorzeny proved to be one of Hitler’s most loyal officers and one on whom he could rely. Skorzeny had by that point received many decorations for his actions and was one of the few people who enjoyed the Fuhrer’s trust and respect. Skorzeny was also an opportunistic figure who knew his way around the Reich’s headquarters and this event launched his professional career to new highs. It was obvious that the war wasn’t going to last much longer in 1944. The Kingdom of Hungary – under the regent, Miklos Horthy – was ready to sign a secret separate peace treaty with the Soviets, as they advanced through Ukraine and Romania. 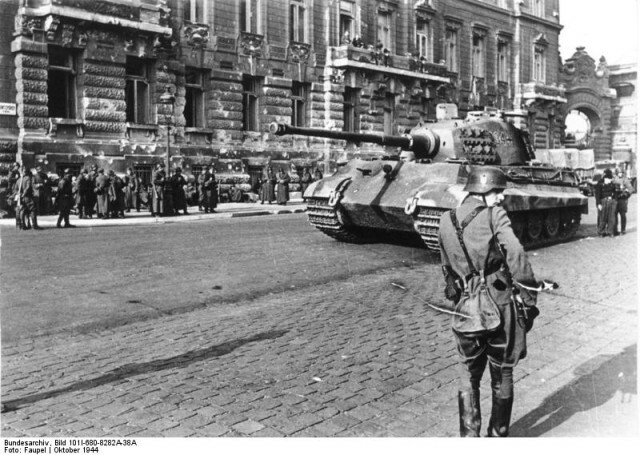 Germany couldn’t afford the surrender of its southern ally, for they needed Hungary to hold the Red Army as much as they could. Otto Skorzeny was assigned to use blackmail and extortion to persuade the Hungarian regent to step down from power and enable the Pro-Fascist Arrow Cross Party to keep Hungary at war. The plan was to kidnap the regent’s son, Miklos Horthy Jr. who was a politician himself and who was an important supporter of his father. The action was in full effect on 15th of October in 1944. The regent’s son was to meet the Yugoslav middlemen in the negotiations, but was instead captured by a commando unit and flown to Vienna and transported to the Mauthausen concentration camp. The action was swift with no casualties and handled in a rather criminal manner. Some of the Hitler’s old-fashioned generals often opposed to Skorzeny’s methods for they have been in direct violations of every rule of war, but his popularity only grew, as he was Adolf Hitler’s favorite and most trusted soldier. Miklos Horthy Sr. was blackmailed after the event, and he agreed to resign and let the country be occupied peacefully by German forces who installed a pro-German the puppet regime. Operation Griffen was a ‘false flag’ mission under the command of Otto Skorzeny. It occurred during the Battle of Bulge in the winter of 1944, and its primary objective was to cause confusion and chaos among the Allied troops and capture the bridges over the river Meuse. The mission employed the use of captured Allied vehicles and uniforms and was conducted by the English speaking members of the Einheit Stileu brigade, who were assembled through a series of tests that tested their English language skills and knowledge of American slang and dialect. Skorzeny lacked authentic American vehicles and equipment to conduct a large-scale operation that Hitler had unrealistically ordered. 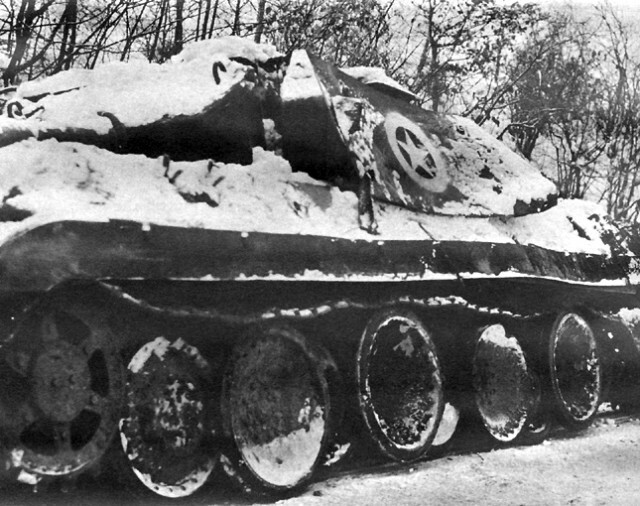 He had to improvise, so he camouflaged some German Panther tanks to look like American M10 Tank Destroyers. He also used German armored cars, which were adjusted to look more like their Allied counterparts. The mission was set out in three directives: demolition teams were to destroy the bridges when captured, alongside sabotaging the enemy’s fuel and ammunition depots. Reconnaissance patrols would go ahead of the main squads and pass on false orders to the units they met. They would also reverse road signs and remove minefield warnings. Lead commando units would work closely with the attacking units to disrupt the US chain of command by destroying field telephone wires and radio stations, and issuing false orders. They never managed to secure and hold the Meuse bridges, but they did cause temporary havoc among the Allied ranks, and Skorzeny succeeded in applying his tactics. Rumors spread that the commandos were trying to kidnap Eisenhower in Paris and that one of the Germans presented himself as Field Marshall Montgomery. This action led to a series of mishaps, one of them being the maltreatment of Montgomery by the American soldiers who shot the tires of his car suspecting he was an impostor. Eisenhower was forced to spend Christmas under high-security alert. After the dust had settled, the American General put out a “Wanted” poster with Skorzeny’s face on it, just like in a Western movie. Once the Allies acknowledged that there were moles in their ranks they eliminated the German commandos, who withdrew soon after. In January 1945, the Soviets were advancing through Poland. Their scouts were already on the natural border with Germany, the Oder river. Otto Skorzeny was sent there to organize a defense force and hold the bridgehead at Schwedt. The commando had to improvise and gather all the troops he could muster, for the high command hadn’t given him enough men for a realistic defense. The core around which he assembled his troops was an elite paratrooper unit. He called out for Hamburg dockyard workers, pilots who had no planes and an SS battalion of Germans from Romania. He also borrowed an anti-tank unit from his fellow SS officer and managed to employ the cadets of the Friedenthal Sniper School. Skorzeny held the bridge for 30 days, outnumbered 15 to 1. He managed to achieve that with careful positioning of his sniper teams who covered the approach route and completely immobilized the Soviet infantry. 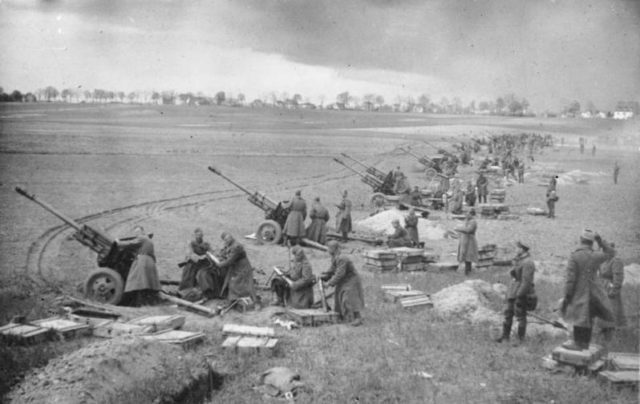 Undoubtedly, this operation disrupted the Red Army’s timetable, buying Germany weeks to improve its defenses.